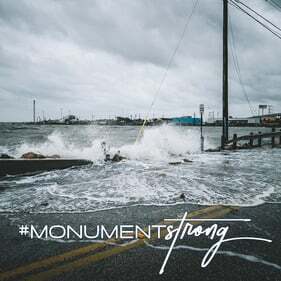 Donation efforts will benefit Red Cross disaster relief and will be realized through firm's philanthropic arm, Monument Cares. About Monument Real Estate Services Monument Real Estate Services (MRES) is an asset manager, property manager and value-add specialist that directs a full suite of services in the strongest multifamily markets nationwide. MRES manages a portfolio of more than 14,000 units in markets throughout the Southwest, Southeast, Midwest and Mid-Atlantic regions of the U.S. MRES provides guidance to institutional and individual investors in the acquisition, financing, and property management of income producing properties. With a foundation of institutional quality reporting, coupled with the hands-on style of an owner's mindset, the company's integrated approach is flexible and adaptable to both class A properties and properties requiring significant re-positioning. MRES is part of the Monument family of companies and is based in Miami. About Monument Capital Management Monument Capital Management (MCM) executes transactions on behalf of the three investment funds it directs, as well as acquisitions on behalf of a select number of private investors. Under its first two funds, MCM has more than $325 million of assets under management in multifamily properties Southwest, Southeast, Midwest and Mid-Atlantic regions of the U.S. Currently, the firm is deploying capital from its third fund and will target markets with a strong demand for workforce housing. MCM's investment objective is to strategically identify assets in markets with attractive demographics at a deal size where competition is limited and its exceptional management team can add immediate operational value via its proven investment management model.